Summer officially starts June 21st. 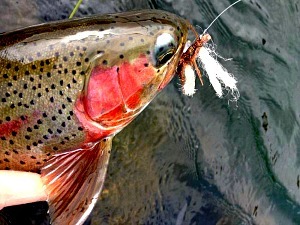 I’ll still be trout fishing on the lower lower, mostly with a trout spey, hoping to accidentally hook a June Steelhead. The real action happens in July. On a magical day the summer steelhead show up on the Deschutes River. There’s no rhyme or reason, no set date, no magical number over Bonneville or The Dalles Dams, it just happens. July is easily my favorite month to fish the Deschutes. There are certainly less fish in July than in August or September, but there a even fewer human beings around trying to catch a Steelhead. In years past, July has been the most consistent month, perhaps a chance or two a day. I’ll tell you something else, July fish pull the hardest – it’s not even close. Encounters often end in straightened out hooks and long distance hand shakes. The reason these fish are so powerful is simple, they’ve not been caught yet. Steelhead are a really good biting fish which lends them to being caught and released a few times in their several month migration. An early July fish is likely 100% fully charged. Once the Steelhead show themselves for the first time they’re pretty much here. The crowds stay fairly light until August. With the crowds come waves of fish and by Labor Day weekend we are at the peak of the run, the A-run, one salt fish. There will never be more fish in the river than there are late August and early September. The crowds start to dwindle into September, school starts, hunting season is going on, and Fall Chinook are in full swing. As September ends, we’ve been catching a few two salt steelhead and an occasional fall chinook. 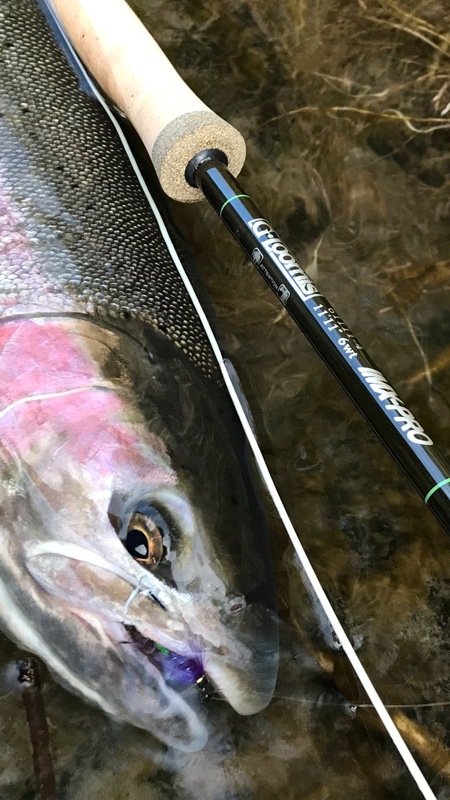 October goes the way of the B-run, two and three salt steelhead. 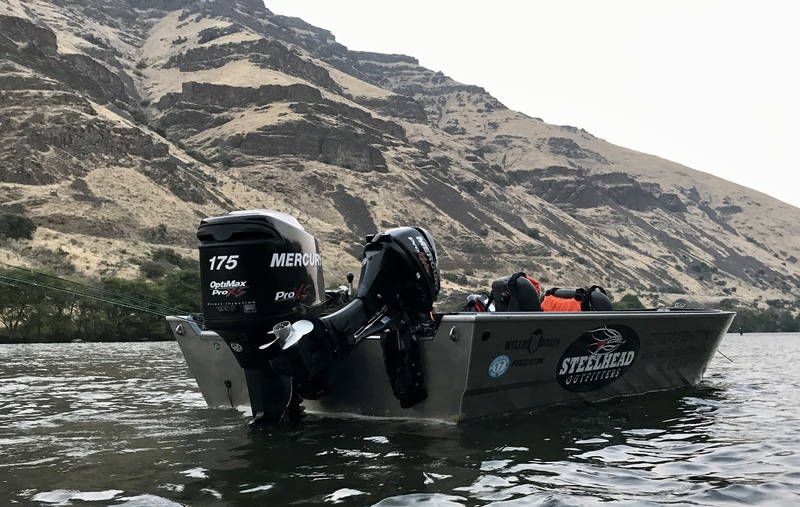 The B-run steelhead are headed to far away Idaho and the Clearwater and Salmon Rivers. Before they go there they pull into the mighty Deschutes. This migratory event makes or breaks our fall season, but typically there are fewer people around, fewer fish but larger fish…one of the best times of year to fish the Deschutes! Rates- $495 for 1, $695 for 2 anglers, I reserve the right to fill the boat. We can accommodate up to four anglers. 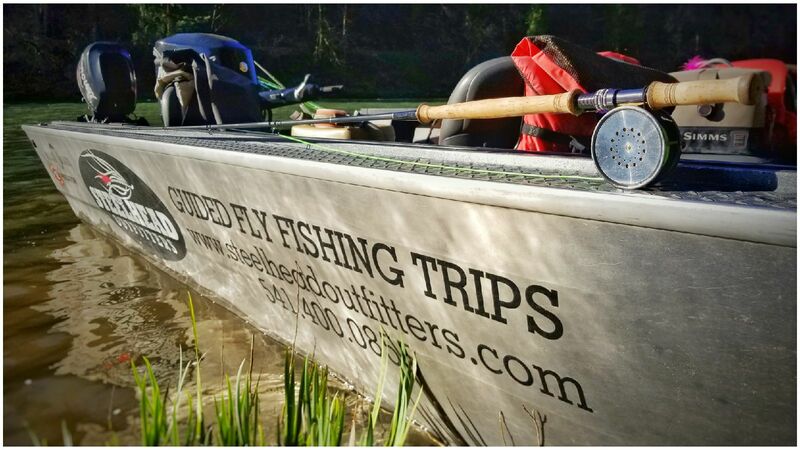 We provide lunch, spey rods and reels, flies, BLM Boaters Pass, DOES NOT INCLUDE Oregon Fishing License with Columbia River Endorsement. Credit cards can be used to book with a 4% convenience fee. To Book call (541) 400-0855 or email samsickles@gmail.com 50% non-refundable deposit is required.